The past couple years have brought a rise and fall in the supply and demand for professional nurses. While several surveys indicate that the nursing shortage might be over, executives bemoan the ongoing lack of nurses to keep up with patients’ needs, confirming a distinct discrepancy between projections and reality. The surge in new graduates by no means alleviates the shortage as employers’ preference for BSN graduates eliminates almost 67 percent of incoming nurses. Healthcare reform, the aging population, and the increasing complexity of healthcare also drive employer demands for BSN graduates. Industry analysts reveal that the demand will most likely persist through 2022 and beyond. However, immense changes in the role of nurses, the complexity of healthcare, and other variables will have an impact on new graduates. New models of care delivery and a shift towards health promotion and prevention place RNs in significantly expanded roles. In preparation for employment in a market where employers’ preference predominates, prospective nurses would do well to earn a bachelor’s degree in nursing. Both baccalaureate and associate degree graduates can take the NCLEX-RN to become registered nurses. However, BSN graduates have a much better chance of scoring entry-level employment than their ADN counterparts. Additionally, BSN prepared nurses are more likely to advance to leadership positions, receive pay increases with added responsibilities, and enjoy job stability. The market demands for BSNs is by no means limited to employer tastes. Many will argue an airtight case for the contributions of nurses with an associate’s degree or diploma. Indeed, BSNs and ADNs entering the sector as entry-level employees conduct similar activities and earn salaries that are about the same. The shift towards BSNs is prompted by the Institute of Medicine and other leading industry associations’ stance on the educational preparation of nurses today. By increasing the minimum requirement for entry into nursing to the BSN and requiring 80 percent of registered nurses to hold a BSN degree by 2020, the industry hopes to improve positive patient outcomes and prepare nurses to assume a more dominant role in the complex healthcare environment. Currently, individuals desirous of practicing as a registered nurse can still enter the industry with an associate’s degree, according to the New Mexico Board of Nursing requirements. However, policies and the minimum requirements can change in the near future. Employers, who hire ADN prepared nurses, may require them to enroll in a BSN completion program to earn the BSN degree. They may offer incentives, such as paid leave, tuition reimbursement, and flexible schedules to support nurses’ continuing education. Academic excellence differentiates an excellent nurse from a mediocre one; or a professional nurse from professionals in some other industries. The BSN curriculum prepares students, as much as possible, for the challenges and rewards of nursing. It balances nursing courses with courses in biological sciences and humanities. Students juggle the rigorous coursework in the classroom with ample clinical practice in community, long-term, and acute care facilities to develop the knowledge and innovative skills and techniques needed in the nursing sector. With more than its fair share of nursing programs, choosing a nursing school in New Mexico might be a matter of cost or location for a prospective student. The program of choice should be approved by the New Mexico Board of Nursing and accredited by the Accreditation Commission for Education in Nursing (ACEN) and the Commission on Collegiate Nursing Education (CCNE). National accreditation is essential if you need state or federal funding to help with tuition and expenses and also if you plan to pursue further education. Employers prefer graduates of accredited programs too! Look for a school with distinguished faculty who have a wealth of experience in teaching and research. The program’s delivery format (hybrid programs are on the rise as they give students some measure of flexibility), enrollment requirements, and resources, such as computer labs, clinical labs, and resource libraries are some other factors to consider. Four-year BSN programs are specifically targeted to high school graduates. But there are several other points of entry to the program, based on your education and experience. LPN to BSN: This route is available for LPNs in a few BSN programs. With a knowledge of the foundational principles and experience in healthcare, a licensed practical nurse can transfer credits and earn a BSN degree in two to three years of full-time attendance. To qualify for transfer, the credits earned must be within a stipulated period with a grade C or better. RN to BSN: A BSN completion program allows for registered nurses to complete the educational requirements for a BSN degree. Usually, the courses will be limited to upper-level courses in nursing as the RN would have completed the general education requirements for the associate’s degree. In this scenario, the prospective student might have up to 60 credits to transfer into the program, which will not only allow for faster completion but also give them the flexibility to complete the program online with some scheduled clinical experiences in the community. The RN student must have an active license to practice throughout the program. Traditional BSN: A high school graduate can enroll in the direct entry program and earn a BSN degree in 3 to 4 years. The student will complete the prerequisite general education and science courses prior to taking the core nursing courses. At most schools, the students will not gain access to the upper-level courses until he/she completes the initial courses in the sequence with a grade C or above. Fast-track BSN: Nurse Graduates have a better chance of employment within 6 months of graduation than many other professionals. 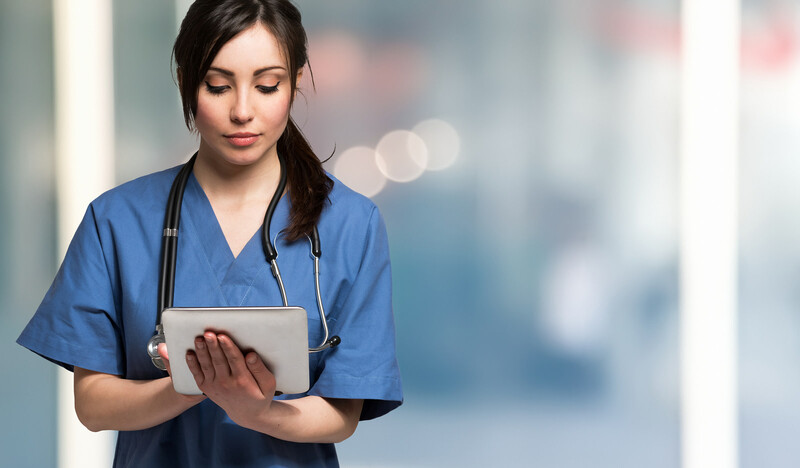 There are numerous opportunities and incessant demands for new nurses to replace retiring nurses and meet the increasing healthcare demands. Nursing is also a broad field; the opportunities for growth and expansion into related areas are limitless. Professionals with a degree in another field can apply for enrollment in a BSN program with a fast-track option. A program advisor will review the credentials and courses eligible for transfer and place the students in advanced standing, allowing him/her to earn a BSN degree in 12 to 24 months. All graduates (with the exception of RN-to-BSN graduates) must take the NCELX-RN to practice as a registered nurse in New Mexico. The challenging four-year BSN curriculum includes classroom, laboratory, and clinical instruction under the guidance of experienced faculty. The general education component of the curriculum is covered in the first two years where students develop a wide and varied knowledge base in humanities, social and physical sciences, liberal arts, and multiculturalism. At the conclusion of the sophomore year, the student will be introduced to nursing theory courses and have opportunities for clinical practices. Generally, the curriculum is 128 credit hours or more for direct entry students with no transferrable credits. Students must complete the general education and prerequisite courses with a grade C or better to enter the nursing sequence as the previous courses form the foundation for the nursing courses. Nursing topics may include care of the complex and acutely ill adult, leadership in the community, children and adolescents nursing, caring for the perioperative patient, human development, introduction to pharmacology, chemical biology, public health nursing, issues and ethics, nursing management, and nursing informatics. Nursing courses may account for 60 credits or more in the BSN curriculum. The RN/BSN curriculum allows an associate degree or diploma nurse to transfer credits and continue their professional education to earn a BSN degree. The students will complete approximately 60 credits to qualify for graduation. An evaluator at the college will assess the RN’s credits and determine the final requirements for graduation. The RN-BSN classes are usually delivered over the web, allowing students to manage work and family commitments while earning an advanced degree. The following is a generic list of requirements for entry into a BSN program. For specific requirements, check the school’s website. Apply to the nursing department and complete all the requirements for admission. Submit an official high school transcript or GED scores. Submit transcripts of all college level courses. Complete the prerequisite courses with a minimum grade C.
Pass an entrance exam – TEAS, etc. Schedule and attend a personal interview with admissions personnel. A criminal background check, TB test, physical exam, drug screen, medical and liability insurance, CPR for healthcare providers, and immunization may be required for clinical placement. Prerequisite course requirements may include general and advanced anatomy and physiology, statistics, nutrition, biology, microbiology, and first-year composition. The Second Degree BSN allows an individual with a non-nursing baccalaureate degree to obtain a BSN in one year. The duration and program format will vary by school, but after meeting the requirement for the degree, the graduate is eligible to take the NCLEX-RN exam. The intensive curriculum is designed specifically for the a mature and experienced student who needs to make a career change. The program is intensive, covering three to four semesters and more than 450 hours of clinical practice in several healthcare settings. The theoretical courses may be delivered as web-enhanced seminars or in a traditional classroom setting. The curriculum draws upon the student’s prior knowledge in humanities, social sciences, and biological sciences to produce a graduate capable of professional nursing practice. Committed faculty ensure students develop a strong foundation for entry-level nursing practice, but they’re also prepared for advancement into positions of leadership and graduate study. To qualify for entry to the fast-paced program, the candidate must possess a baccalaureate degree in another discipline. Admission to the college as a degree-seeking student must be secured before submitting an application to the department of nursing. Most schools host information sessions/workshops for prospective students to outline the expectations and plan of study. The fast-track BSN student will spend a greater portion of the program developing clinical skills at multiple medical facilities. Before participating in this aspect of the program, the student must obtain criminal background clearance, take a TB test or chest x-ray, provide documentation of immunization, and complete CPR for healthcare providers. A college education costs money – lots of it. Fortunately, New Mexico nursing students can benefit from a variety of grants and scholarships to reduce the cost of tuition and related expenses. Federal loans and tuition payment plans are also available for qualifying students. The type of college (whether private or public) and the point of entry (traditional 4-year or fast-track) will also affect the bottom line. RN-BSN students can benefit from employer contributions – paid tuition, tuition reimbursement, and other incentives. Loan repayment programs for nurses are other options students can explore. New Mexico resident nursing students can pay approximately $61,440 in tuition to complete a 4-year BSN degree. Other costs for clinical supplies, textbooks, course materials, insurance, transportation, and fees will apply. Since nurses with an associate’s degree do the same tasks as nurses with a baccalaureate, you might question whether it makes sense to attend school for an additional two years and drain your finances if you can become a registered nurse in NM with just two years of study. Graduates of an associate’s degree program can take the NCLEX-RN just as graduates of a BSN program. Both graduates earn similar salaries and function at the same level during their early years. However, in spite of the similarities, there are some key factors that give a baccalaureate graduate an edge in the short term and long term. Students enrolled in the baccalaureate program study public health, leadership for nurses, health assessment, community nursing, and communication to a greater degree than students in the associate’s program. They’re exposed to issues and challenges in nursing management so they can confront them head-on in the real world. Additional clinical experiences in outpatient clinics, nursing homes, and community settings prepare them for practice in these areas. Right away, this additional training gives graduates the upper hand when opportunities are available to work outside the traditional setting. Employers hire BSN graduates because it places them in a favorable light when applying for Magnet status. This practice also helps them improve patient outcome, which is the goal of any public health facility. As the Institute of Medicine partners will colleges, state boards, and leading nursing associations to increase the percentage of BSN-prepared nurses, it is essential that incoming nurses get on board from the onset. 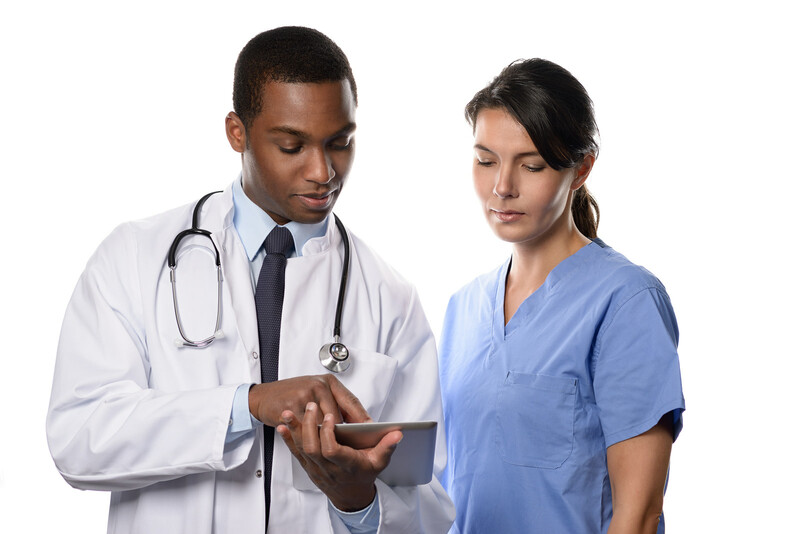 The drive to increase the BSN workforce is due to the increasing complexity and diversity of patient complaints that medical professionals face. As they serve on the frontlines of healthcare, nurses must be prepared to meet the challenges of an evolving healthcare system. Check out the BSN programs and NCLEX-RN pass rates in New Mexico to improve your job prospects and lay the foundation for advanced study.